A varied Christmas Concert with music from the Middle Ages to the modern day - and a guest appearance by Inner Voices, a young chamber choir consisting of the best singers from eleven inner-London state schools. Wine, mince pies and a raffle complete this festive Christmas experience. 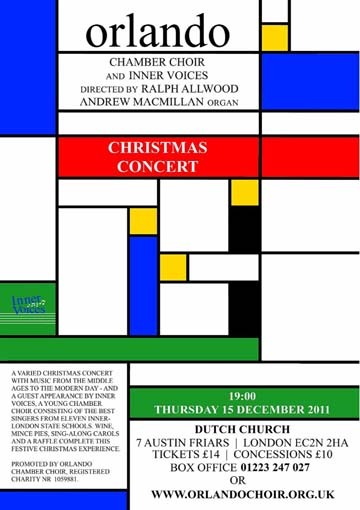 The ticket price includes a copy of the programme notes so you can join in with the audience carols!